Hiring Overseas Chinese talent to send to Mainland China can seem like a really smart move. After all, they can speak the language and understand the culture, right? Actually, things are rarely so simple. In Mainland China, having the right local Chinese talent has always been important. However, finding local talent has become increasingly difficult in recent years with larger numbers of Western businesses looking to expand their operations in Mainland China, and domestic Chinese firms offering better incentives in an attempt to poach talent from their Western competitors. The overall poor quality of the Chinese national education system does not help matters, and produces a relatively low number of graduates that possess a genuine ability to work comfortably and effectively in an international environment. Thus, in order to solve their China talent problems, it is common for Western companies look to Overseas Chinese talent to fill important roles in their Mainland Chinese operations (in this article, Overseas Chinese refers to people of Chinese birth or descent that live outside Mainland China). Hiring Overseas Chinese talent to send to Mainland China can seem like a really smart move for Western companies. After all, they are Chinese, they speak the language, and they understand the culture, right? Actually, things are rarely so simple. As it turns out, having Chinese ancestry, or even coming from China originally, does not necessarily ensure Overseas Chinese talent can succeed – or help a Western company to – in the Mainland Chinese market. However, while Overseas Chinese all over the world may share a common link through ancient Chinese culture, they are nevertheless divided by the differences of their respective countries and societies, which have developed independently from that of Mainland China. Even regions relatively close to Mainland China, such has Hong Kong and Taiwan, have had more than half a century to develop independently (60+ years for Taiwan, 170+ years for Hong Kong). During that time, each region has been able to develop its own unique culture, society and customs. Overseas Chinese who were born in and grew up in Western countries (e.g. the USA) are in effect Westerners that retain varying degrees of connection to their ancestral homeland. In the last 60+ years Mainland China has also undergone a number of changes. The journey from Communism to “capitalism with Chinese characteristics,” along with break-neck paced economic development has produced a new modern Chinese persona that is significantly different from their overseas peers. Just from the general issues noted above, there is a huge potential for differences between Overseas Chinese and their Mainland counterparts with regard to upbringing, social norms, communication styles, and beliefs. Thus, it is very important for Western managers and executives to not only understand that such differences exist, but also how these differences can potentially limit the effectiveness of newly hired Overseas Chinese talent. The article below offers a brief discussion of several different types of Overseas Chinese, and the various factors which can inhibit their smooth transition into the Mainland Chinese society and business environment. Overseas Chinese born and raised in Western countries (e.g. Chinese Americans) may be at the greatest overall disadvantage when attempting to adapt to life and work in Mainland China. While in many cases these Overseas Chinese might have been raised in Chinese households by parents originally from the Mainland, there is no guarantee that language, culture, or social ideas will be passed on. While being raised in a Chinese household will often ensure Overseas Chinese learn to speak, read, and write some Chinese, it can be much harder to reach a level of actual fluency for everyday and business communication. For some, there might be a lack of sufficient opportunities to practice. Others may distance themselves the Chinese culture and language in favor of fitting into Western society. Language skills and family life aside, many Chinese-Americans are largely inexperienced with regard to Mainland China’s social environment. Even for Overseas Chinese who have had the opportunity to visit friends and relatives in Mainland China from time to time, their ability to live and work in Mainland China can in no way compare with actual Mainland Chinese natives. The result is that when Overseas Chinese raised in the West relocate to Mainland China, in many cases they will be viewed as a Westerner, and will not immediately be able to gain any type of “special access” to the Chinese. Any number of things can and will give them away as non-Mainlander, including lack of Chinese fluency, their accent, Western behavior, and even skin complexion. On one hand, there is nothing wrong with being viewed as a Westerner, as many Chinese both like and respect them, usually giving them a warm welcome. However, Overseas Chinese can suffer from a special handicap that Westerners of non Asian-descent are not burdened with. Since all Chinese everywhere are “supposed to be Chinese,” there can be the expectation that even Overseas Chinese should act like Mainland Chinese. When Overseas Chinese raised in the West cannot speak Chinese, or do not understand much about Chinese culture, there is the risk that they might be looked down on slightly by the Mainland Chinese, who could potentially regard Overseas Chinese as being lazy, un-Chinese, or in some very rare cases, unpatriotic. In an extreme example, former US Ambassador to China Gary Locke was once mocked by the Chinese Media, partly regarding his inability to speak Mandarin Chinese. To summarize, Overseas Chinese who were raised in the West might be unable to function much more effectively than the average Western China expatriate, and may receive less respect as well. As mentioned earlier, many overseas regions and countries with Chinese speaking populations can differ significantly from Mainland China in terms of their modern cultures and societies. While these differences might not seem obvious to Western managers and executives, they are easy to perceive for Mainland Chinese natives. For example, after being ceded to the British after the first Opium War, Hong Kong developed quite differently from Mainland China. Through more than 100 years of British influence, Hong Kong developed its own unique culture and society, which can now sometimes put it at odds with the Mainland Chinese government and citizens. In addition, Mandarin (the official language of Mainland China), is not the official language of Hong Kong. Hong Kong citizens learn Cantonese first (in effect a separate language), usually followed by English, and sometimes Mandarin. Thus for an Overseas Chinese from Hong Kong be able to live and work effectively in Mainland China, he or she must make an extra effort to learn an additional language. Taiwan by comparison has much less of a cultural distinction from the Mainland than Hong Kong, but Overseas Chinese from Taiwan can still encounter their own difficulties in Mainland China. On one hand Taiwan managers have been known to speak in a more direct manner than Mainland Chinese are used to, which holds the potential to cause embarrassment and ruin business deals. On the other hand, Taiwanese managers and business owners have a bad reputation in the Mainland as being stingy and treating Mainland workers unfairly. A bad reputation among Mainland Chinese subordinates and coworkers can lead to inefficient operations and a toxic work environment. While Overseas Chinese talent from Hong Kong or Taiwan may have an easier time adapting to life and work in the Mainland than those Overseas Chinese born and raised in Western countries, problems can still occur. Even after candidates have been verified to possess the proper language skills as well as a sensitivity to Mainland Chinese communication styles, this is still not a complete guarantee they will be able to adapt well to all facets of Mainland Chinese society. Hong Kong and Taiwanese natives with previous work experience in Mainland China therefore represent a much lower risk to potential Western employers. When a Western company is looking for Overseas Chinese talent to bring onboard at its Mainland China operations, Mainland Chinese citizens studying, living, or working overseas are often a good choice. This type of Overseas Chinese will have grown up in and spent most of their life in Mainland China. Thus, they will speak Mandarin Chinese fluently and understand the Mainland Chinese society and culture much better than non-Mainland Overseas Chinese. However, Mainland Chinese that spend too much time in Western countries may be faced a few key challenges which can affect their ability to interact with other Mainland Chinese and successfully re-integrate into Chinese society. First, much of business and social life in Mainland China is driven by relationships, or Guanxi. Due to distance, and a Chinese preference for face-to-face meetings, maintaining important networks can be difficult when living abroad for extended periods. Thus, some Mainland Chinese may find that they have fallen out of contact with their local networks once arriving back in Mainland China. In these cases Mainland Chinese may not only feel disconnected, but may also have trouble at work as well (e.g. if they work in sales). Second, Mainland Chinese citizens, who have spent most of their academic or professional lives in the West, often become accustomed to life in Western society and adopt social and political views of their host countries, along with behavioral traits. When these students or professionals return to Mainland China, they may face the challenge of not thinking or acting completely like a native from Mainland China. This can cause trouble with regard to communicating effectively with other native Chinese workers and managers. The above two examples are more extreme than what most Mainland Chinese are subject to when relocating back to China. However, Western managers and executives should in all cases remember that the longer Mainland Chinese native has spent in the West means a relatively shorter amount of time and experience in Mainland China. What are the Key Elements Needed in Overseas Chinese Talent? At the end of the day what really matters is not whether one from the Mainland, but whether one has the correct skills, experience, and mentality to adapt to the on-the-ground business environment in Mainland China. From this authors own experience, Western managers and executives would do well to focus on the following elements when screening and interviewing potential Overseas Chinese candidates for their Mainland China operations. Language Ability: Language is the first barrier that one must overcome to be able to do business successfully in Mainland China. It is never certain whether the locals in Mainland China natives will have a high enough competency in English to communicate on everyday topics, let alone more technical or business-oriented ones. Thus an overseas Chinese candidate should have a high fluency in Mandarin Chinese and in some cases relevant local dialects. An ability to read and write Chinese characters should also not be overlooked. Without this basic skill, simple tasks such as filling out paperwork or doing simple research online will be all but impossible. Knowledge and Experience with Mainland Chinese Society: Language aside, much of what will determine how well overseas Chinese can integrate into a Western company’s Mainland China operations is their knowledge of and skill with regard to Mainland Chinese society. This includes issues such as social and business etiquette, local communication styles, common mindsets and beliefs. If an overseas Chinese cannot “walk the walk” and “talk the talk” in front of Mainland Chinese citizens and business professionals, then they will lose some of their potential value. Ability to Emphasize with Mainland Chinese: Finally, it is imperative to not only be able to understand the Chinese, but to empathize with them as well. This author has observed all too many overseas experts (both overseas Chinese and Western) who have worked in China for a long time, and understand the Chinese well from an outside perspective. Unfortunately all too often these experts go home after work and spend time mainly with others from their home countries. They are either unable or unwilling to spend enough time with the Chinese locals to really get to know them on a personal level, something that can have a profound effect on achieving business results. In conclusion, despite the potential drawbacks of overseas Chinese talent, they are still an invaluable resource to Western companies doing business in China. 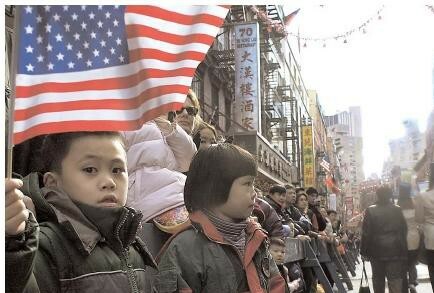 Many overseas Chinese in fact have more than an adequate understandings of the Chinese language, culture, and society. However, because it is impossible for Westerners (or even Mainland Chinese) to judge relative competency or knowledge at first glance, it would be a big mistake to lump all overseas Chinese together in one group, or take a candidate’s word at face value. After all, the concepts of Chinese language fluency or expertise on Chinese culture are relative ideas based on individual experiences and perspectives. Therefore, it’s important to fully understand the capabilities and potential weaknesses of all Overseas Chinese candidates before making a hiring decision. Only through due diligence can Western managers and executives ensure that their new Overseas Chinese hires can deliver on everything the company expects. Do you have any questions or thoughts about the differences between Mainland Chinese and Overseas Chinese? Do you have any experiences you can share as an Overseas Chinese living in Mainland China? Please feel free to post your thoughts in the comments section below. This is a dilemma: the Chinese who are more fit in the host western country are more likely to get picked up for a position in mainland China, and are more unfit in the mainland China. When discussing how overseas Chinese (Huaqiao) fit in mainland China, whether as professional managers or running own businesses, it would help give better understanding which region (adopted country) he comes from. I think the article was written more through the eyes of Chinese American or those from European countries. On the other hand, Huaqiao from South East Asia, particularly from Malaysia and Singapore generally have little or no problem performing in the mainland. Many of these Huaqiao have the opportunity to attend Chinese education, from primary right up to secondary level (pre college). They are tri-lingual: Mandarin, English and Malay plus a smattering of dialects spoken in Guangzhou, Fujian and Hainan. We may be 2nd or 3rd generation Huaqiao, but we still observe many of the traditional events and festivals such as Qing Ming (all souls day), Mid Autumn, Rice Dumpling (Chang festival, rice with meat and condiments wrapped in bamboo leaves, in memory of poet Chu Yuan) and Lunar New Year. More importantly, we still maintain our Chinese name, albeit some with Anglicize ones. For me, I think those Chinese, who did did not go to western countries and who can manage good English, can do better than those Chinese who have studied in western countries. More and more Chinese people can speak very good English. Also they can understand a lot of western ideas and thoughts through the internet. Their skills may not be worse than those Chinese people,who have been in western countries. And meanwhile, those Chinese who have been in western countries might be more arrogant than those local Chinese. And the salary the require will be much higher than the local Chinese. And the performance of the very local Chinese may not be worse than those Chinese who have learned English or other things in western countries. And the knowledge they learned in western countries may not meet the real production and working process of China. So for me, I think the local Chinese with a high English level will be the best choice for western business managers. 1) While its true that many Mainland Chinese have studied English, I rarely encounter those with “very good” or excellent English skills – I would say many have at the very least basic communication skills. 2) In my experience relying on the internet to learn about other cultures can be hit and miss. Mainland Chinese that learn about the West over the internet will almost certainly be at a disadvantage compared to those Chinese (overseas or returnees) who have experienced it first hand. Who is the best fit will partly depend on specific industries and companies, in addition to language, cultural and business skills. You are right of course that Mainland Chinese and Overseas Chinese will possess different advantages and disadvantages. However, those that not only rely on their strengths, but also focus on improving the areas where they are weak will likely be the best choice to work with Western business in China. Very well explained. Hopefully, companies will begin to take into consideration the amount of time a person has actually spent “living and interacting with the population in a particular area” in which they want to conduct business. This is simply a practice of excellence and social responsibility that will separate the 21st century winners from the losers regardless of previous market success. Thanks for the comment Icydor.